Rue The Day!Travel Archives - Rue The Day! Most of us have seen at least one Disney movie, but not many people know that some places pictured in those amazing fairy tales are actually real! In fact, Disney was often inspired by real destinations around the globe and captured those places beauty in amazing cartoons. If you need more proof, get acquainted with the five places here which indeed inspired Disney movies, rounded up thanks to the Travel Ticker team. Enjoy it! 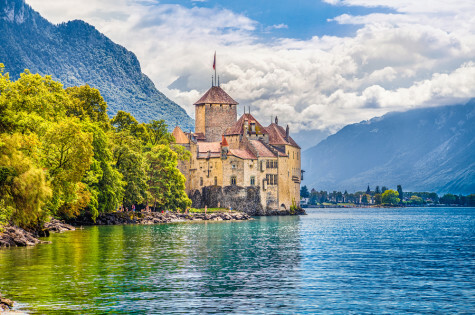 Sitting just nearby the beautiful lake of Geneva in Switzerland, you can find a castle which indeed looks like it was taken straight from a fairy tale. Chateau de Chillon dates back to when Roman Empire existed, and is a beautiful example of medieval architecture. Tourists love visiting this castle not only to admire its beauty but also to enjoy its beautiful surroundings as well. However, this is not why we are talking about it. In fact, this castle was the one which inspired Disney animators to create a Prince Eric’s seaside castle in The Little Mermaid. Some believe that even the rooms of the drawn castle represent the real ones is Switzerland. Visit one day and decide about this myth for yourself! We are going to talk a lot about castles today, and you know it! And this one, located in Scotland was the one that inspired Pixar to create a castle where the heroes from the film Brave live. This breathtaking castle sits on an island in the middle where three grand sea lochs meet, surrounded by mountain scenery and making it look just exactly how we would imagine from our childhood fairy tales. 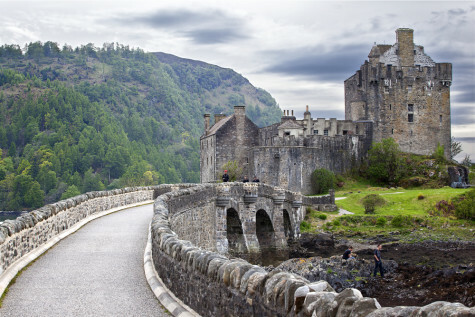 The good thing is that the castle is pretty well preserved and open for tourists, so you can indeed enjoy walking around there and grasp the amazing atmosphere of beautiful Scotland. Ok, we just have to mention this festival here, because it is one of the most beautiful scenes (at least in my personal opinion) in any Disney movie and one of the most beautiful festivals in the world as well. 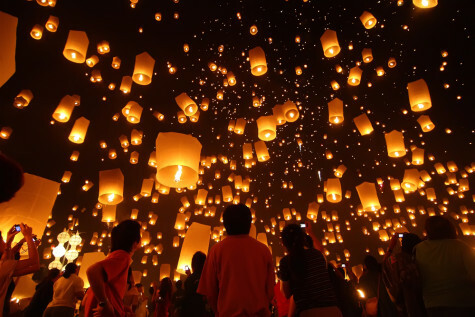 The Festival of Lights is also called ‘Yi Peng’ and during the celebration, people light over a thousand lanterns and send them into the night’s sky all while making a wish. Sounds familiar? Yes, the exact “festival” was pictured in the most expensive Disney movie ever made, which you know by the name Tangled, and you can definitely experience the same beauty pictured in the cartoon in real life. Do we need to say more to entice you? 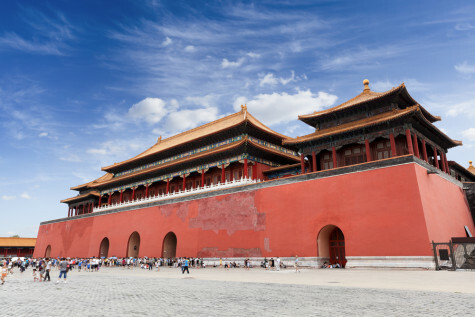 One of the mysterious cities in the history, the Forbidden City in Beijing, has inspired hundreds of movie makers all around the globe. Nowadays this amazing palace is open to the public, so you can definitely walk through the halls and enjoy its luxurious and amazing interior, which was pictured in the Disney movie Mulan. However, the timeline of the movie is set during the Han Dynasty, from 200 B.C. to 200 A.D.; while the Forbidden City was built about 1,200 years later. While there are a few incorrect facts in the film, that doesn’t stop us from enjoying this amazing building and wonderful movie! Let’s end with the beautiful city of New Orleans, which was the main setting for the Disney movie The Princess and the Frog. 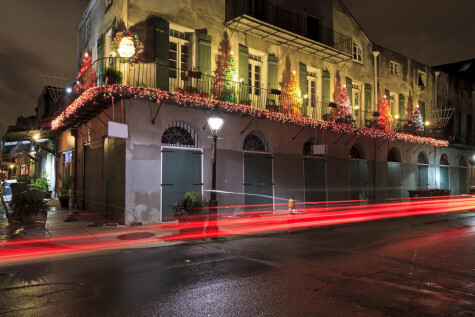 Indeed, this city is well-known; with its famous Mardi gras celebration, the fact that it is the birthplace of many music genres like jazz or blues, and its rich culture, New Orleans is very inspiring. There is nothing surprising about this entry, it is impressive how precisely animators captured the spirit of this marvelous city in yet another one of their amazingly beautiful stories. The art of retro travel posters is simply fantastic, but it can be made better -especially when you start adding in mythological creatures like the chupacabra, bigfoot and more. Suddenly, I really want to visit Puerto Rico. Even without services, worshipers, or even windows, these 7 abandoned churches are utterly gorgeous and intriguing, even if they still are a little creepy. Seriously, Shetland ponies in Shetland wool sweaters posed in Shetland. There are a handful of cities you have to visit if you really love graffiti. London is one of those cities and Laughing Squid has the proof. Practically any abandoned building is creepy to some extent, but when that building happens to be an ex-morgue, the eeriness becomes almost unbearable. Here are some great photos of 14 desolate morgues, try not to look at the pictures just before bed though or you might not be able to fall asleep. Artists Janna and JS wanted to make their graffiti interact with the viewers in any given city, so they started painting each other holding cameras. While seeing these artworks in person is pretty cool, it also results in even more amazing photos, where the art looks like it is taking a picture of a passerby as someone else just happened to snap a picture of the action. Check out more of these great designs over at WebUrbanist. If you’re dying for a good scare this Halloween, you may consider visiting one of these 9 terrifying tourist destinations.